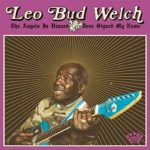 Born in 1932, the Mississippi native Welch turned seventy-two years of music making into three years of worldwide fame. Welch was essentially both an elder statesman and an 81-year-old rookie when he released 2014’s Sabougla Voices. He soon found himself feted on festival stages around the world, released a second album in 2015, I Don’t Prefer No Blues, and was the subject of the 2018 documentary, Late Blossom Blues. Welch’s fame may have come late, but the authenticity of his gospel and blues was deeply appreciated by all those who heard him play and sing. Welch passed away in 2017, but not before recording more than two dozen songs with Dan Auerbach in his Nashville studio. It’s hard to imagine a more fitting album for an acid guru than a soundtrack to a film that no one’s seen, and that some speculate was never shown. A like-named film reportedly documented the first LSD trip of psychologist, and Leary’s fellow Harvard psychedelic researcher Ralph Metzner; but on record, Leary’s acid-journey guidance is accompanied by a blend of eastern and western instrumentation that includes guitar, tablas, the sitar-like veena, voices, chanting, sound effects and studio manipulations. Originally released in 1967 by the Mercury label, the album’s essence was further fuzzed by a 1966 release with the same title, but different content. The earlier album’s spoken word ruminations on drugs, philosophy and religion are put into practice here, as Leary guides Metzner to let go of his consciousness limiting baggage – “the chess game of [his] life” – so as to fully embrace the mind expansion that lay ahead. Leary leads Metzner to focus on the metaphysical as the backing sounds flow in nameless and timeless patterns, and he bids Metzner to “float beyond fear.” Leary’s acid guru recitations are buoyed by the backing music and sounds, and Leary’s fourth wife, Rosemary Woodruff, echoes Leary and provides additional guidance. Pearl Harbor and the Explosions was a short-lived new wave band that developed a club following in their native San Francisco music scene. Led by Pearl E. Gates (formerly of Leila and the Snakes), their debut single on the local 415 Records label was helmed by then-neophyte producer David Kahne, and begat an album deal with Columbia. This full-length debut, produced by Kahne at the Automatt, has a crisp sound that almost borders on brittle, but highlights the pop and progressive angles of the band’s music. New versions of the 415 single’s songs (“Drivin’” and “Release It”) were produced alongside a promotional video, and released as a Warner Brothers single that garnered regional radio play. Though poppier than 415 labelmates like Translator and Romeo Void, there’s a funky new wave Dance Rock undercurrent that suggests contemporaries like Missing Persons. The songs are filled with easily loved hooks, and Harbor’s singing foreshadows the rockabilly sass that would enamor Clash bassist Paul Simonon, and fuel her solo follow-up, Don’t Follow Me, I’m Lost Too. Blixa’s reissue augments the album’s original nine tracks with seven bonuses, including the non-LP flip “Busy Little B-Side,” the original 415 Records single, and a trio of live tracks from 1979. The fusion of country, jazz, folk, blues, bluegrass and swing this trio developed in the late ‘70s isn’t without near-term antecedents (e.g., Dan Licks and His Hot Licks) or parallels (e.g., David Grisman), but the joy with which these three talented musicians – Walter Hyatt, Champ Hood and David Ball – meshed their influences and voices is in many ways without equal. Although there was fine solo work to follow – and commercial success for Ball in Nashville – there was something greater than the parts in their collaboration. With three star-quality singers blending their voices in harmony, their talents as instrumentalists might have receded into the background, had their gifts not been so substantial. Their acoustic playing is gentle, but substantial, and provides perfect backing and decoration to their singing. Omnivore began the digital restoration of the group’s catalog with the 2018 anthology Those Boys From Carolina, They Sure Enough Could Sing, and now digs deeper with this reissue of the group’s debut. Recorded in North Carolina (in a single day, in mono, and with no overdubs!) and originally released in 1974 as Blame it on the Bossa Nova, the album was reordered and reissued eponymously in 1978, as the group was settling into Austin. Their run would last five more years and turn out another studio album (An American in Texas), a live set (Recorded Live) and a cassette collection of studio material (6-26-79). Reissues have come and gone, including the numerous versions of this debut that are documented in the liner notes, but the band’s impression on its fans has never faded. The trio’s harmonies take in the sounds of country music’s early family acts, close harmony pop of the ‘40s, and the jazz vocal groups of the ‘50s and ‘60s. Their repertoire includes superb original material that mingles easily with lovingly arranged covers of the Delta Rhythm Boys’ jivey “Give Me Some Skin,” Robert Johnson’s “From Four Until Late,” Professor Longhair’s “In the Night,” the late ‘30s blues “Undecided,” the folk staple “Little Sadie,” and a wonderfully crooned take on the film theme “Ruby.” The trio’s harmonizing on “High Hill” is unbelievably lush, Ball’s falsetto is striking throughout the album (as are Hood’s acoustic guitar leads), and Hyatt’s “Aloha,” which opened the original LP, now closes out the album’s eleven track lineup. It’s hard to say which is stranger: the creative genesis of this album or its fiery critical aftermath. In retrospect, the inferno that consumed the album two years after it’s 1996 release feels more fictional than the actual fiction of the album’s lyrical themes. Originally conceived as a backstory for names carved into a pair of collectible guitars (a Gibson Hummingbird shown on the front cover, and a Martin D25 shown on the back, for the gearheads out there), the album imagines the histories and emotions of the carver’s failed relationships. But written and arranged by Chris Holmes, the album’s intricate layers of orchestral pop became a post-mortem cause célèbre in an escalating war of indie scene criticism. Was Holmes serious or ironic? Was his album art or merely industrial product? Was it authentic or fake? Thomas Frank’s essay “Pop Music in the Shadow of Irony” brought these questions to bear on the career of his former roommate, and much discussion ensued. Now, decades removed from the original release and the onslaught of analysis that followed, it’s difficult to imagine how the former begat the latter. For Holmes’ part, he suggests that Frank misconstrued his story of an artist navigating the record industry, selecting elements that fit a handy narrative. Frank described Holmes as having run an ironic play that reversed his label’s mass-market aspirations by doubling down with music that ironically harkened back to the sunshine pop sounds of the 1960s. But decades removed from the Indie vs. Alternative imbroglio of the mid-90s, it’s difficult to hear anything ironic in the album’s beautifully crafted sounds. Perhaps that’s because the made-for-AM-radio pop music from which Holmes took inspiration has turned out to have artistic value and emotional resonance that’s outlasted the taint of its arguably crass production source. Frank labels Holmes’ claims of “heartfelt and genuine and un-ironic” as fake, and perhaps they were. He describes Holmes’ musical touchstones as “lowbrow” and “schlock,” and derides the idea that this music engenders deep, long-lasting meaning to listeners. But even if Frank is right about the layers of Holmes’ intentions, he’s wrong about the source music’s lasting relevance, and he’s wrong about the outcome of Holmes’ process. Whether or not Holmes was ironic (as were, say, Spinal Tap) or loving (as were, say, the Pooh Sticks), the end result is music to love. And if Holmes was simply faking it, he did a good enough job to render the fraud immaterial. It’s hard to imagine that either Holmes’ label, or Holmes himself, thought this music could successfully fill the market space being vacated by “Alternative,” which leaves Frank’s critique as more fantastic than the story he purports. If you’re already lost in the multiple levels of revisionism and meta criticism, you may want to skip Brian Doherty’s critique of Frank’s essay, and the additional layers of explanation it reports from Frank and his then-editor at Harper’s. It all sums to an incredible amount of critical ink spilled over a market stiff that somehow managed to become emblematic, to a certain strain of intellectual cognoscenti, of all that is wrong with the fruits of commercial production. It’s hard to recall a pop confection that caused this much critical heartburn since the Monkees complained publicly about their own artistic disenfranchisement. 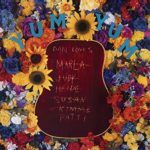 And much like the Monkees, Yum Yum is better taken on its musical merits than the contortions of its creation myth. Holmes originally developed his industry cred as part of the Chicago space rock band Sabalon Glitz, but when a solo deal materialized with a subsidiary of Atlantic, he decided to pursue the orchestral pop he had bubbling on the sideline. The lessons of Sabalon Glitz aren’t lost here, as the album is layered with vintage mellotron and chamberlin, strings, brass, organ, acoustic and electric guitars, bass and drums. Holmes’ lyrics imagine Dan lamenting his failed relationships, reminiscing about both the joys and stings of love, closing himself off to simmer in bitter thoughts, dream of better outcomes, and imagine cautiously dipping back into the romance pool. It hasn’t the stinging bitterness that informed Matthew Sweet’s Girlfriend, nor the variety of musical motifs, but Holmes’ hushed vocals and lyrics of romantic dissolution are effective, and his melodies are catchy, if not always sufficiently distinct to be instantly memorable. The Los Angeles-born, Laurel Canyon-bred Robin Lane developed her musicality as a Golden State folky, but broke through as an east coast rock ‘n’ roller. Lane migrated from California to New York and then north to Boston, where she formed a band that quickly established itself in the late ‘70s as a regular at The Rat. Club and college dates led to a record deal with the soon-to-be-bankrupt Private Stock label, and then a more fruitful signing with Warner Brothers. The group’s self-titled 1980 debut spun off the singles “When Things Go Wrong” and “Why Do You Tell Lies?,” with the former turning up as the eleventh video played on MTV’s first day on the air. Lane’s original material was emotionally moving and melodically catchy, and her voice had the heft to lead a talented band made up of former Modern Lovers Asa Brebner and Leroy Radcliffe, Reddy Teddy bassist Scott Baerenwald and Sidewinders drummer Tim Jackson. 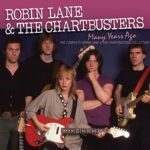 Formed in the middle of punk rock’s golden age, the Chartbusters managed to deploy their seasoned talent with enough passion to fit in among the less instrumentally gifted. Live and on record, the band was incredibly tight, but never seemed out of place among their punk rock colleagues. The album gained regional and college radio airplay, despite the band’s sense that it didn’t capture the essence of their guitar-centered sound, but failed to break nationally. A live EP, 5 Live and a sophomore LP, Imitation Life, failed to break the band beyond Boston, and they were dropped by their label. Lane’s pregnancy and the birth of her daughter combined with the band’s disappointing commercial results to seal the group’s fate. One more independently released 1984 EP, Heart Connection, was produced before Lane went into hiatus that eventually produced new career directions. 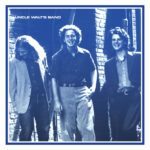 But even with Lane’s intense vocals, the band’s impassioned playing, and an album full of memorable lyrics and melodic hooks, the label couldn’t find a way to break the band beyond New England. Whether it was the production, the New Wave album cover, or just the random breaks of the music business, neither the singles nor the album charted nationally. The subsequent live EP, recorded at Boston’s Orpheum Theater, includes three songs not otherwise recorded by the band (“Lost My Mind,” “When You Compromise” and “8.3”), along with a scorching cover of Johnny Kidd & The Pirates’ “Shakin’ All Over.” The recording captures the band’s strength as a stage act, as well as the crowd’s enduring love for their hometown band. But again, the spark of regional enthusiasm couldn’t be grown into a national fire. The band’s sophomore album was released the following year, and though it’s a solid effort, it didn’t have the obvious singles of the debut. 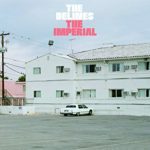 The band’s continuing intensity is heard on “No Control” and the title track, and the poppier “Pretty Mala” and closing ballad “For You” are easily liked, but nothing here reaches out and really grabs the listener’s by the ears like the debut. The band’s tenure on Warner Brothers closed with a good album that wasn’t good enough to hurdle past the failed launch of the superior debut. 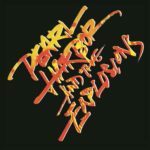 The 1984 EP Heart Connection opens strongly with “Hard Cover,” and includes three tracks whose keyboards and handclaps date the recordings in a way that don’t affect the previous releases. The EP sessions produced seven additional tracks that are included here as bonuses. The quality of this material could certainly have merited the release of a full album, but was consigned to the vault until now. Additional demo material includes a pair of pre-Chartbusters recordings, “Rose for Sharon” and “Never Enough” that show off Lane’s California country-folk roots. They also explain the surprise with which Lane’s earliest fans greeted the rock ‘n’ roll sound of the Chartbusters. “Never Enough” was recorded by the Pousette-Dart Band as the title song of their fourth album before Lane rewrote it as “When Things Go Wrong.” The band’s pre-Warner Brother single includes the original versions of “When Things Go Wrong” and “Why Do You Tell Lies,” along with a moving folk-pop original titled “The Letter.” This early material’s connections to Lane’s musical influences is both a treat and a revelation. Disc two is filled out with a 1980 demo of the singer-songwriter styled “The Longest Thinnest Thread,” and the fragile, violin-lined “Little Bird,” taken from the band’s 2002 reunion album. For someone born in 1970, Luther Russell sure managed to soak up the feel of late ‘70s rock ‘n’ roll. If you were there, this album will transport you back to a time when Jimmy Carter was in the White House, and your copy of Twilley Don’t Mind (not to mention the cutout copy of Radio City you managed to score) hadn’t been worn flat. It turns out that rock ‘n’ roll didn’t die with Tom Petty, even if there are few guitars to be heard on Spotify’s Top 100. Medium Cool not only conjures the sound – the instruments, melodies, rhythms and production – of late ‘70s rock, but the mood. It’s almost as if Joe Walsh continued on from the James Gang instead of eventually joining the Eagles. Russell’s fealty to the late-70s is on-the-nose with the Roger Christian/Alex Chilton mashup, “Corvette Summer,” a tune that, in an alternate 1978, would have been the title theme to the like-named Mark Hamill film. “Have You Heard” turns a mythical comeback of rock ‘n’ roll into a clarion call, and all of the album’s elements are pulled together as “The Sound of Rock ‘n’ Roll” frees broken hearts to find one another in a misery-eliding drug haze. The acoustic “At Your Feet” suggests an emotionally prostrate version of Big Star’s “Thirteen” (which Russell has previously performed with Jody Stephens), but here the protagonist literally throws himself at the feet of his objet d’affection. 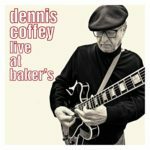 Detroit guitarist Dennis Coffey had a brief run of solo fame with his 1971 instrumental hit “Scorpio,” and its 1972 Top-20 follow-up “Taurus.” But his guitar has been much more widely heard on a string of iconic Motown hits that includes the Temptations’ “Cloud Nine, “Ball of Confusion” and “Psychedelic Shack,” Edwin Star’s “War” and Diana Ross & The Supremes’ “Someday We’ll Be Together.” Those who’ve spent time in the Motor City may have been lucky enough to hear Coffey playing live, including a residency with organist Lyman Woodard’s heavy swinging trio at Morey Baker’s Showplace Lounge. 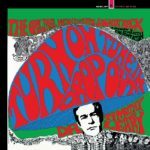 Those who didn’t have the pleasure can check out some of the trio’s live dates on the previously released Hot Coffey in the D – Burnin’ at Morey Baker’s Showplace Lounge and One Night at Morey’s: 1968. Coffey has continued to gig steadily, and Omnivore now offers up a more recent live date, recorded in 2006 with a quartet that features keyboardist Demetrius Nabors, bassist Damon Warmack and drummer Gaelynn McKinney. The quartet has a different sound than Lyman’s organ-based trio, but Coffey’s guitar is still as fiery and free as ever. The track list is comprised mainly of finely selected jazz covers, including titles by Freddie Hubbard, Jimmy Smith, Miles Davis and Jack McDuff, but also includes a hot, extended jam on “Scorpio,” and a lengthy take on the Temptations “Just My Imagination.” The latter is highlighted by Coffey’s soulful, phase shifted guitar (taking the vocal’s spotlight) and an electric piano solo from Nabors. 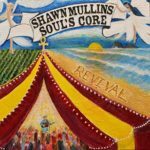 Shawn Mullins was six years and four albums into his recording career when he waxed the 1998 breakthrough album Soul’s Core. He was at the point in a musician’s career when they start to wonder if they’ll ever break out of the artistically-rich but commercially-lean orbit in which they’ve been traveling. The pace of recording often turns studio sessions into snapshots of inspiration, with a long tail of discovery ahead as the album is toured. 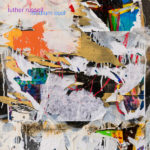 The initial writing and recording are coated in layers of experience as songs are contextualized in the flow of a live set, developed by a road band’s chemistry, reflected by audience reaction, and interpreted through the changing circumstances of the performer. Material with artistic depth is in a sense never finished. Given the pivotal role that Soul’s Core played in Mullins’ career, it’s no surprise that many of the album’s songs have remained central to his live set, and that over time, his relationship to the material, and his perspective on its meaning has deepened. For this self-released double-CD, Mullins has re-recorded the album twice: once with his road band, and once in an acoustic solo setting. The former’s live-in-the-studio setting captures the band’s decades-long development of the songs as stage material, while the latter more deeply introspects the songwriter’s changes in personal relationship to his younger self. The band disc perfectly blends the tight playing of oft-played material with the stretching and exploration of songs whose core theses have become second nature; the solo disc gives Mullins an opportunity to look back twenty years on his own.